Every illness tells a story. Every illness presents a challenge. We desire wellness and when we are afflicted with pain, discomfort and illness we want to change that. In order to affect change, something in us — our lives, our routines, our habits — must change. Dis-ease presents us with a unique opportunity to take a journey on an unknown path toward a desired, but unknown, destination. When patients come to me seeking treatment for a variety of health concerns (everything from back pain to rotator cuff injuries , chronic conditions or even mystery illnesses) they are embarking on a journey to their very center to find healing before they can return. 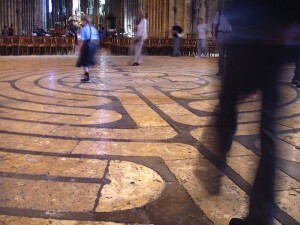 I chose the labyrinth for Rivertown Acupuncture’s logo because it represents that inner quest by the patient; I am simply the catalyst for healing. The journey to recovery from an ailment is not a straight line, and a holistic approach is key to lasting success. Whereas medical specialists may sometimes take a compartmentalized approach, sending a patient down one narrow path, acupuncture stimulates our own bodies to move toward their desired destination. For this reason, acupuncture can help point the way toward healing in situations when a patient is feeling unwell but has not been presented with a clear path toward wellness from a medical professional. When a patient is feeling ill but can’t obtain a clear diagnosis, it can be very challenging to know how to move forward with the proper treatment. At times, seeing so many doctors can cause even more confusion. Specialists typically only look for issues that relate to their specialty, and they may not perceive a broader mandate to treat the patient beyond that specific area. As a result, specialists may not look at other aspects of a patient’s health that could shed some light on the issue. With this compartmentalized approach to health care it can be difficult to uncover the underlying condition, much less treat and resolve it. This can be very frustrating for the patient, who only wants to solve the problem and get better as soon as possible. Acupuncture takes an entirely different approach when assessing a patient’s condition and identifying the possible cause of any health concerns they may be experiencing. An hour spent with an acupuncturist, who scrutinizes a patient’s body more carefully and holistically, can sometimes help determine what medical problem should be addressed and point the way toward a course of treatment. If you’ve never received acupuncture treatment before, you may have many questions about what to expect at your first session. Here’s an overview of how the first consultation at Rivertown Acupuncture typically goes, along with a brief explanation about my philosophy regarding holistic acupuncture treatment. Before coming in for your initial appointment, we’ll ask you to fill out the necessary preliminary forms, such as documents related to HIPAA and your health and medical history, and send them to me. You can find these forms on both the Home Page (following the fourth paragraph) and the Contact/Directions section of our website (on the right hand side of the page). This gives me a chance to review your medical history before you arrive and offers me some insight when we meet to discuss your primary complaint. If you’re experiencing pain and it’s muscular in nature, then our first in-person Q&A is typically very brief. 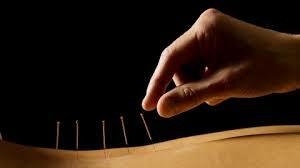 Many acupuncture patients initially seek treatment for a serious illness, to remedy acute pain or to help treat a mystery illness. However, acupuncture’s greatest benefits can often be found in its holistic approach to wellness. In the care of an experienced practitioner you can alleviate short-term ailments while also improving the long-term foundation of your overall well-being. There are myriad ways in which acupuncture can benefit a patient’s overall health. This form of Traditional Chinese Medicine (TCM) helps ameliorate allergies (such as the fall allergies from which many people have suffered so acutely this year), improves the body’s native immune response, reduces fatigue, boosts energy levels, and heals the damage caused by stress. Although each of these benefits is valuable when considered individually, when understood as part of a whole they form a more complete picture of wellness that allows people to better enjoy their lives. If you’re suffering from a mystery illness, it can be frustrating to try and get the answers you need in order to recover your health. It’s not uncommon for me to treat patients who, after making several appointments with multiple doctors yet still not receiving a clear diagnosis, have become desperate to find a solution. They often come to me months or even years after their symptoms first started surfacing, and they’re in a considerable amount of pain. Fortunately, acupuncture can be a valuable form of complementary care in just these sorts of situations. As a form of Traditional Chinese Medicine (TCM), acupuncture treats symptoms and patterns rather than specific Western diagnoses. 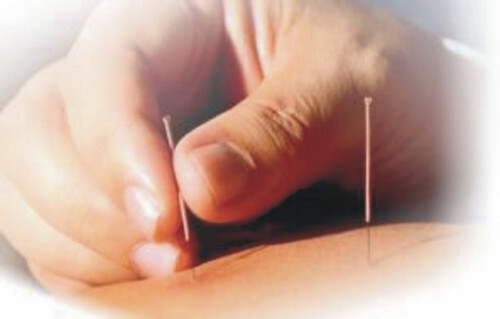 In this way, acupuncture treatments are uniquely well designed to uncover the multiple factors that may have caused a mystery illness to develop. Acupuncture gently yet very intentionally nudges the body toward homeostasis, allowing its systems to regulate themselves better and thrive on their own. As a result, patients—no matter what type of pain or illness they may be experiencing—benefit from an improved sense of well-being and begin to feel better soon after treatment begins. 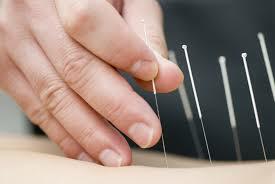 Acupuncture treatments can even sometimes help point the way toward a diagnosis, which is especially helpful in cases of mystery illnesses that are tricky to identify. I have helped steer several patients toward their diagnoses, in fact. After working with them just two or three times, I begin to see underlying indications of what may be happening and, as a result, I have successfully steered those patients toward the right focus (for example fungal infections, endocrine system issues, Lyme disease, etc.) while continuing the acupuncture treatments that strengthen and bolster their immune systems. When patients come to Rivertown Acupuncture suffering from poor health, I find that their symptoms are often the result of a perfect storm and that they’re not always caused by one specific problem. Since acupuncture can help shine a light on the environmental factors that contribute to degraded health, patients often come away from treatment with greater self-awareness about the chief causes of stress in their lives and how they may take positive steps to improve their self-care. This includes eating better, managing stress more effectively, and getting more exercise. With the benefit of better energy and well-being provided by acupuncture treatment as well as the knowledge required to improve their health in a more holistic way, even patients who have been suffering from a long term, difficult to diagnose illness can begin to uncover the path to a better future. If a mystery illness is impeding your ability to live well, it may be worth considering the benefits that acupuncture can offer. Cancer affects a large percentage of the U.S. population. Many of us have either battled it ourselves or know someone who has. Although it may sound like a monolithic disease, cancer can be unique from each situation to the next according to the type of cancer involved and the stage at which it is diagnosed. Typically, it involves what the Mayo Clinic calls “the development of abnormal cells that divide uncontrollably and have the ability to infiltrate and destroy normal body tissue.” And cancer can metastasize, spreading to other systems in the body, if it is not caught in time. Receiving a cancer diagnosis can be frightening experience, and the journey to recovery is often long and arduous. But there are many therapies available, including acupuncture treatment, that can help alleviate many of the most painful aspects of the disease as well as the after-effects of surgery and chemotherapy. Acupuncture in particular is well suited to provide individualized treatment for the specific ailments from which a cancer patient may suffer. Chief among the cancer-related symptoms that patients often experience are vomiting and nausea; acupuncture can help reduce their frequency and severity. Acupuncture can also control pain and boost the immune system’s response, which is especially important during a time of healing and recovery. Because of these benefits, acupuncture treatments can also sometimes reduce the need for chemical therapies and other medications that would otherwise be prescribed. It is not uncommon for cancer patients to experience depression, anxiety, fear, stress, or insomnia. Fatigue is also a frequent complaint. These are all ailments that acupuncture is well suited to treat, as it restores the proper flow of energy throughout the body by promoting better circulation, lowering your heart rate, and relaxing you through the release of endorphins. This can have the effect of improving your mood and overall sense of well-being, making it easier for you to find balance and serenity while undergoing treatment. More people are beginning to include acupuncture as part of their cancer care plan. Many hospitals now house acupuncturists in their oncology departments, for example, and we treat cancer patients here at Rivertown Acupuncture as well. If you or a loved one has cancer, it may be worth your while to discover how acupuncture can help treat your symptoms, boost your energy, and give you the positive outlook you need to make a strong recovery. If you lead a busy life, juggling multiple responsibilities and multitasking throughout the day, it can be a challenge to stay energized and motivated. 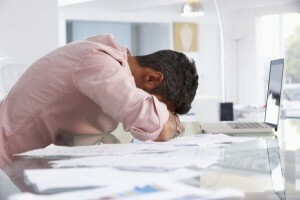 Many people struggle with fatigue, finding it difficult to get out of bed in the morning or feeling sapped of energy after a day of staring at a computer screen. Not only can fatigue affect your productivity and your overall quality of life, but it can also make your immune system vulnerable to other medical ailments such as the colds and strains of flu that peak around fall and winter. Fatigue can have many causes. In most cases, it arises when the body is out of balance and the sufferer is finding it challenging to engage in adequate self-care. Fatigue is linked to lack of exercise, a poor diet, overwork, stress, strong emotions, depression, digestive issues, and chronic pain. It can also develop in connection with several different medical conditions such as diabetes, heart disease, cancer, chronic fatigue syndrome, or even the medications used to treat their symptoms. Acupuncture can have an immediate and directly positive effect in relieving fatigue as it has the effect of stimulating metabolic processes. As with other practices associated with Traditional Chinese Medicine (TCM), a sophisticated approach to medical care dating back over 2500 years, acupuncture seeks to replenish your qi, or life force, by restoring the balance between the body’s yin and yang energy. 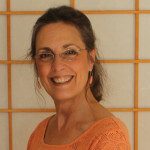 Qi plays a vital role in digestion, movement of the body, and the immune system. When it is depleted, you may feel cold, lethargic, have digestion issues, and be prone to catching colds or infections. By carefully inserting acupuncture needles at specific meridians throughout the body, an experienced acupuncturist can unblock your energy pathways and achieve the balance necessary for a replenished and vibrant qi to emerge. This has the effect of rejuvenating you and providing you with the energy to take on new goals and exciting projects. In addition, it can give you the boost you need to regularly care for yourself with more intention and awareness, making it less likely that your body’s systems will fall out of balance in the future. In this way, acupuncture can often address the symptoms of fatigue as well as its source, allowing you to experience life more fully and pursue your dreams with more vigor. As the cold winter months approach, now is the perfect time to experience the long-lasting health and wellness benefits that acupuncture can offer. We all encounter stress in our daily lives to a certain degree. 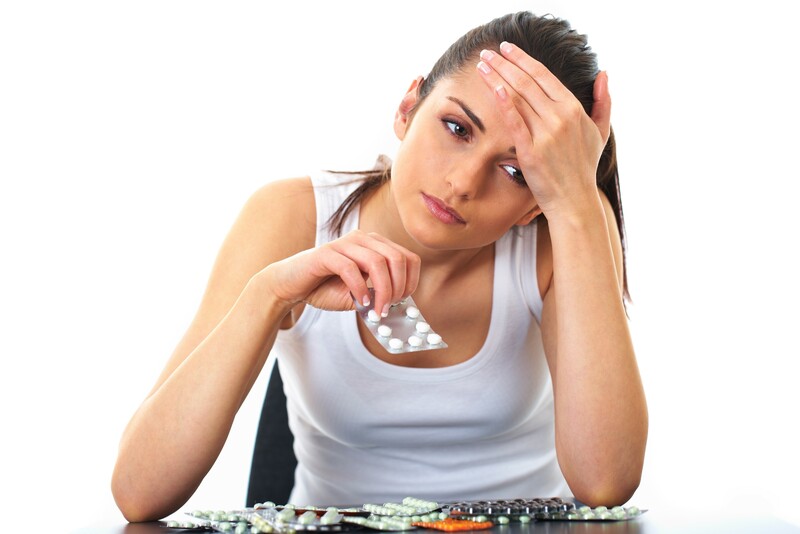 It’s estimated that 75 to 90 percent of all doctor’s visits are for stress-related issues, in fact. Stress causes painful headaches, elevates your blood pressure, leads to chest pain, and even contributes to insomnia—which in turn has an even more detrimental effect on your health. Stress is also closely linked to depression and anxiety, which can severely hinder your ability to enjoy and fully experience life. Chronic, untreated stress can profoundly compromise your health over time. It promotes the spread of cancer, since stress releases the adrenal chemicals that allow cancer to metastasize and travel throughout the body. Stress can also be a factor in cardiovascular disease, skin conditions, and metabolic and endocrine disorders such as diabetes. So not only does it impact your day-to-day well-being, but it can also shape your future health to an extent that you might not realize. Fortunately, acupuncture offers many ways to treat the painful symptoms that stress creates while also ensuring your long-term wellness by improving your body’s capacity to handle stress. Trigger point therapy, for example, can alleviate stress by relieving tense muscles in areas such as the neck, shoulders, and upper back. This is important because tense musculature and shallow breathing that are caused by stress often serve to reinforce it as well, creating an unhealthy cycle that can have damaging consequences to your health. When stress has accumulated in your body, it often disrupts the flow of energy through your meridian system. Acupuncture can restore the proper flow, promoting blood circulation and delivering much-needed oxygen to your tissues while reducing cortisol levels. It can also improve your breathing, lower your heart rate, and relax you through the release of endorphins. Through a series of careful acupuncture treatments, a body that has been conditioned to exhibit a near-automatic stress response can be guided back to a healthier method of stress management. Stress reduction treatments offer health and wellness benefits that transcend the physical dimension—they also can boost your mood, reduce anxiety, and give you a renewed sense of possibility in your daily life. If you’ve been experiencing stress, you don’t have to let it overwhelm you. By caring for your body and strengthening its ability to manage stress, you can improve your health right now while laying a strong foundation for your future well-being and happiness.